Lonny was Born September 18, 1950 to Emanuel and Jurrah Dean (Benge) Hayre in Hammond, Indiana. Lonny and his wife, Carol (Babcock) Hayre were married on August 5, 1972 and have two children Jennifer (Hayre)Durbin husband (Bret) and David Hayre and wife (Cheri). He also leaves for grandchildren Hannah, Tyler, Logan and Dalley. He also leaves 3 sisters; Sue Slominsky, Sharon Carter and Deanna Bruner, two brothers; Eugene and Dale.Also surviving are several nieces and nephews and numerous cousins as well as several very special friends. He was preceded in death by his mother and his father and brother Donald. 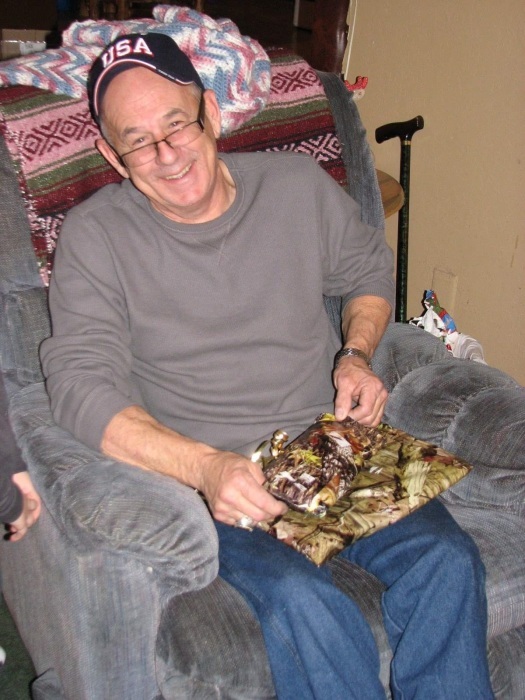 Lonnie worked for 38 years at Clear Pine Moulding. He loved hunting and fishing and making toys and furniture from Juniper. Services will be held on Saturday, December 8, 2018 at the Ashbutte Grange Hall in Ashwood, Oregon at 10 AM. Burial will be at the Ashwood Cemtery following services there will also be a potluck afterwords please bring your favorite dish and drinks. Please wear camo in honor of Lonny. Dress accordingly it may be cold.